4 hours of workshop and lecture on 1 DVD. Includes an in-depth exploration of the 8 major joints of the body and detailed explanation of how bone structure affects asana. Dynamic comparisons on a wide range of students are invaluable for understanding compressive vs. tensile stresses. Suitable for all levels. Join internationally acclaimed yoga teacher and scholar Paul Grilley for Anatomy for Yoga, the DVD that has become a paradigm-shifting modern classic in the years since it became Pranamaya’s first-ever release. Added to the curriculum of yoga teacher training programs across the country, this DVD is a must-see for yoga practitioners of all levels and a compelling viewing experience for anyone interested in understanding their own body. An invaluable resource for both yoga students and teachers, this comprehensive DVD includes nearly 4 hours of in-depth lectures, demonstrations and special features on human anatomy as it relates to yoga practice. The focus of the DVD is comparative skeletal anatomy: understanding the underlying skeletal structure of the body, how the shapes and sizes of the bones differ significantly from person to person, and how to use that knowledge in gaining a much deeper understanding of our individual yoga practices. Paul Grilley explains the key concepts of compression, tension, proportion and orientation with the help of a wide range of yoga students. These concepts help us to understand why no two people will ever experience the same yoga posture in exactly the same way. Paul’s light-hearted yet provocative approach will challenge many misconceptions about yoga while providing the foundation for the development of a truly personal yoga practice grounded in safety and respect. 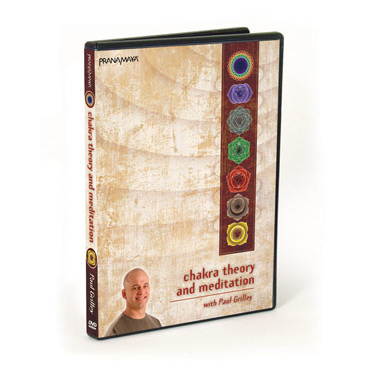 “…this new DVD from Paul Grilley is such a welcome arrival. Grilley is best known as one of the foremost proponents of Taoist or Yin Yoga, which combines the meridian modalities of China (for example, acupuncture) with the yogic and Tantric methods of India. But judging from this DVD, he also knows a thing or two about the Western understanding of human anatomy.